It’s an unavoidable, if unpleasant fact that lots of scheduled flights are delayed - and how such delays are dealt with by the airlines can make or break your holiday. Sometimes it might be a simple case of waiting for a take-off slot that delays your journey by 5 minutes, or it can be an electrical fault, or bad weather conditions that can take days to sort out. Whatever the cause for delay, you need to know where that will leave you and your holiday if it happens. 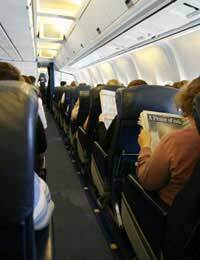 Most airlines and agents who sell on their flights will have a disclaimer that explains what they are and are not liable for, in the case of flight delays. Before you book your flights, find out what the carrier will do if the flight delay is due to something not covered by their disclaimer – will they provide simple refreshments, or vouchers for meals, or even overnight accommodation? It depends entirely on the airline you are travelling with - in particular ‘budget’ airlines, will not offer you anything if you miss your flight, so be prepared. Despite the airline saying they are not liable for compensation in the above scenarios, if you have separate travel insurance (which is strongly recommended) then you may find that you are covered through that. If you are you may be able to claim back expenses incurred, such as hotel rooms, food and drink consumed during the period up to a certain amount and possibly compensation for days of the holiday missed during the delay. Check your policy and make sure that you keep receipts in case you need them to claim money back. In some cases, flights are not transferable at all - if you can't make the flight for any reason you will need to give up your ticket and forget about the money you paid - unless you can claim it back on your travel insurance. In other cases however, airlines will allow you to transfer the ticket into someone else's name - although this is likely to come at a small ‘admin’ cost. You will usually have to request the change in writing at least 2 months in advance so that a ticket/check-in pass can be issued in the correct name. To ensure that you will be able to change the name of a traveller if you need to, check what the rules are on transferring flight tickets before you book. When booking a flight you should also check the cancellation policy. Many airlines don’t offer a refund if you can’t make your flight so it’s worth finding out whether or not yours will in case you can’t or don’t make the flight for any reason. Baggage Allowance varies depending on where you are going and who you fly with. You should always check this before you commit, as you could find that your cheap flight is not so cheap if you have to pay £25 for each bag you want to put in the hold. Some airlines don’t charge extra for one or two bags per person, but others charge for any hold luggage as part of their drive to keep flight costs down. The maximum weight for any single piece of baggage with most UK airlines is 32kg – but if your flight is connecting and your final destination is elsewhere, check what the maximum weight is at the airport you are ending our journey or you may find that the handlers won’t take your bags off the plane when you get there. The maximum size for baggage in the UK is 56cm x 45cm x 25cm. This is in line with Department for Transport legislation and is not something imposed by airlines themselves. Before you hit the shops check the excess baggage charges that your airline imposes as these can often rule out any savings that you might make and make your holiday bargains rather more expensive.